The iPad is the most hotly contested gadget in our house at the moment. I sometimes win and, when I do, one of my favorite ways of reading news is with the wonderfully-designed app Flipboard. Flipboard present RSS feeds, Tweets and Facebook updates in a magazine-style layout with a very simple page flipping navigation model (hence the name). You can add your own sites or select from their curated selection. This week we made the official list! 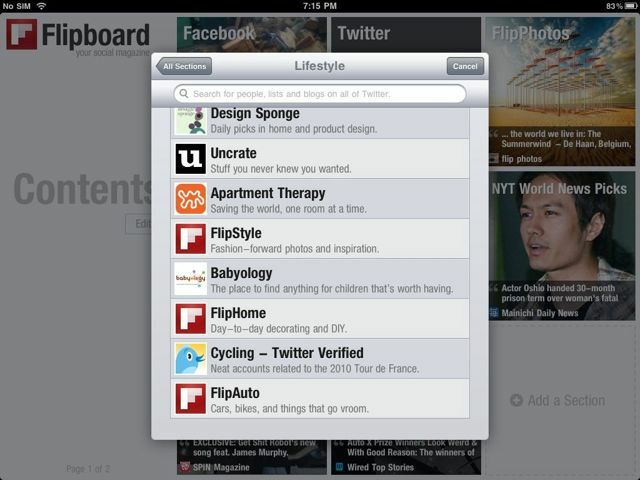 Just tap ‘Add a Section’, then flick down to the ‘Lifestyle’ section to find us. Thanks, Flipboard! 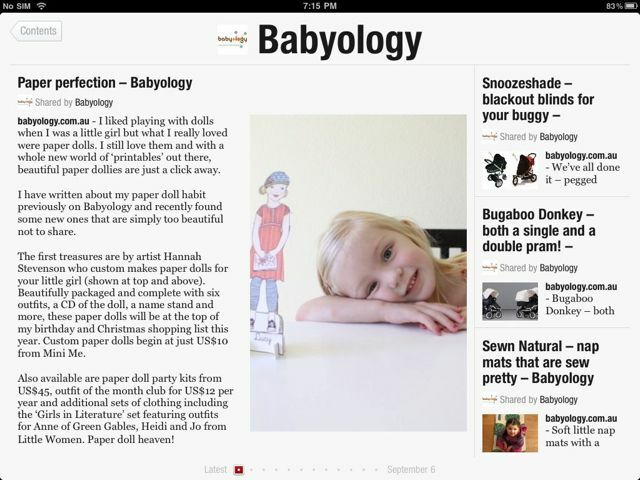 The Flipboard iPad app is free from the iTunes app store.